As the job market dwindles, unpaid interns are flooding the work force. Here's what you need to know before you bring them on board. Ari Goldberg is not a stylish person. 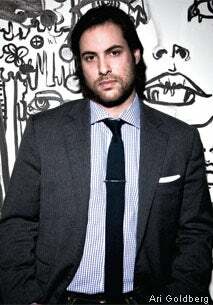 The 27-year-old New Yorker says he had "almost zero fashion knowledge" when he launched StyleCaster.com last June. Wearing a T-shirt and shorts, he explains what he did know when he created the website in 2008: There was no equivalent of a MySpace for fashion, a site that mixed style news, social networking and personalized clothing recommendations with e-commerce. Revolutionary web platforms don't come cheaply, but he believed that he and his partners could build one without exorbitant staffing costs. "We told the investors, 'We have this amazing idea, and everyone will want to take part and we're not going to pay them,'" Goldberg recalls. Besides having contributors who would style photo shoots or write articles in exchange for promoting their name or product, "we were going to have an army of interns." Free labor? In Manhattan, the most expensive city in the United States? Well, yes. Goldberg had no trouble finding young women from excellent universities to report, write and program content for the startup. One was Michelle Halpern. After graduating last spring from Syracuse University, she discovered that her employment options were to waitress for a paycheck or work for free in fashion journalism, a field with dwindling entry-level positions. She borrowed living expenses from her parents, shared a bed with a roommate in a cramped Hell's Kitchen apartment and worked more than 40 hours a week, entirely unpaid. "I figured an internship is an easier way to get a foot in the door and make contacts," Halpern says. Armed with a press pass from the website, she attended New York Fashion Week last September--"a dream for a long time"--and rubbed elbows with designers. Four months of exhaustion and ramen noodles paid off. 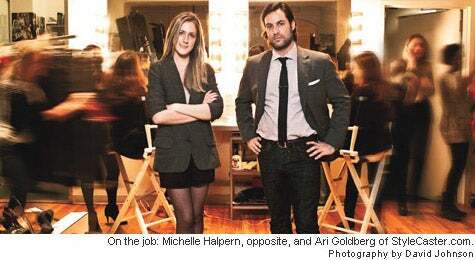 StyleCaster hired Halpern at the beginning of 2010, making her the sixth intern to move up to employee status. For the unpaid position Halpern left behind, there is no shortage of fresh-faced fashionistas eager to fill her stilettos: There are now 24 unpaid part-time interns assisting 15 employees at StyleCaster's office in Chelsea. Does that make Goldberg a savvy businessman or a slave driver? The answer, incredibly, is not clear. The Department of Labor's rules on unpaid interns are brief and vague; the agency has little on the books because it oversees paid work, and it hasn't addressed the issue of the nation's growing unpaid work force. Employment lawyers interpret the rules differently--though they generally agree that full-time open-ended internships are legally dicey. Meanwhile, there are more interns available than ever, and businesses are relying on them for concrete help on entry-level tasks, plus the less tangible benefit of youthful energy and ideas around the office. And like Goldberg, more companies are banking on unpaid interns to the point of building that labor option into their business model. No agency collects national statistics on intern numbers, but the consensus among the largest job placement websites, such as Internships.com and CareerRookie.com , is that they are on the rise. USA Intern--which has more than 10,000 registered interns on its site, USAIntern.com --saw a spike in 2009, when the economy was melting down. There is further evidence in the growing number of intern sites, including UrbanInterns.com , which launched last year and counts several thousand registered users. Of course, the flood of free talent is a boon to businesses managing a big workload with a small staff (some interns even pay middlemen to secure them an unpaid slot). But most businesses are unaware of what legally constitutes an internship and what's acceptable to ask an intern to do. Internships probably started when paid work started. They were called apprenticeships until the medical industry's term for novice doctors was adopted by corporate and academic realms to mean anyone working, paid or unpaid, at a short-term, sub-entry-level position. Many universities offer course credit to students who do a stint in a real-world job that relates to their studies. But the collegiate face of internship is changing, due mainly to unemployment. To put it bluntly, interns today are older, more experienced and more desperate. "People know that their competition for jobs isn't their buddy who graduated alongside them," says Chanin Coyle, who created USA Intern in 2005. "It's Mr. Smith down the street with 25 years' experience, who's been unemployed for the last nine months." Like many of the new intern sites, USA Intern offers a standard service free to interns and businesses, with bells-and-whistles upgrades available starting at $9.99. Last year Coyle noted an uptick in what she calls "30-year-old interns," many of whom have struck out finding a salaried job or hope to change careers. There are less dire reasons for the bumper crop of free help. One is that internships deliver. Most unskilled job seekers would agree that a few months of unpaid work is worth the return of a fattened portfolio and Rolodex. College job centers recommend them. Sites such as UrbanInterns.com, whose basic services are free, have made it easier to find an internship in a specific field. Working free has its perks, too. Besides an occasional swag bag, there's a certain amount of liberty on the job. "Anything I want to put on my rï¿½sumï¿½," says Kaila Simpson, one of three full-time interns for Janine Driver, a motivational speaker based in Washington, D.C., "she can find a way for me to get that experience." With internship laws interpreted on a "case-by-case" basis, businesses need to tread carefully. If your company doesn't have HR expertise in-house, it can benefit from free advice from the Department of Labor hot line, which provides anonymity, at (866) 4US-WAGE (866-487-9243). Here are some general guidelines from business owners, employment lawyers and intern placement experts. --L.P.
. Get clear start and end dates. Internships often correspond to college semesters--three or four months--or summer breaks. Longer than six months is not advised.
. Post on internship websites. Internships.com and UrbanInterns.com are among the sites that offer free listings to companies seeking interns. Increasingly, so do job sites such as http://www.MediaBistro.com and CareerBuilder, whose internship link redirects to its startup CareerRookie.com .
. Schedule work days. Two days a week is typically preferable than one, so that interns can follow up on calls or tasks started the day before. Their working less than 20 hours a week keeps you on the safer side of the law.
. Make expectations clear. In postings and interviews, be specific about the range of tasks. Ask interns what their expectations are, too.
. Don't make promises about jobs. Even if the company has hired from intern ranks, don't suggest that a job may be waiting at the end of the term.
. Appoint a supervisor. The intern may work for several people but should have one supervisor who manages the internship and offers feedback on progress.
. Be consistent. A company should not have paid interns in one department and unpaid in another or call them "student trainees" on one side of the office and "apprentices" on the other. Develop a company-wide program with a guidebook.
. Challenge them. It's OK to send interns on a coffee run now and then, but generally they should be working alongside employees on projects that give them bankable experience. And they should be included in mid- and upper-level meetings, even if it's just to observe.
. Encourage networking. Invite interns to industry events or encourage them to go on their own. Include them in office parties.
. Offer perks. Keep interns in mind when it comes to swag or any other perks of company life.
. Give them an exit interview. Revisit the initial expectations and review performance, and let the interns offer their observations.
. Write a recommendation. Send them off with a letter of recommendation on company letterhead. Consider contacting colleagues who may be hiring, and encourage interns to check in as they embark on a job search. If you own a business that could use an extra hand but doesn't have an extra source of revenue to pay for it, the intern boom may sound too good to be true. And that's because it is. The Department of Labor has but one document on the legality of this sort of unpaid help, and the language is vague. It's a 2006 opinion letter on an apprentice program set up by an unnamed university, and it states that interns are not employees and therefore are not covered by wage laws, if six guidelines are met. One of those specifications is: "The employer that provides the training derives no immediate advantage from the activities of the trainees or students, and on occasion the employer's operations may actually be impeded." In short, the Department of Labor appears to view internships as benevolent education programs, not as the I'll-scratch-your-back,-you-scratch-mine scenario that defines them today. The wording is key to Michael Tracy, an employment lawyer in Irvine, Calif. To him, a volunteer answering phones or filing papers or creating proposals gives a company an "immediate advantage." "The practice isn't legal," Tracy says. "It gives companies an unfair business advantage. It is the same as companies that pay people sub-minimum wage, or make people work unpaid overtime." To operate within the letter of the law, he adds, an internship must be a sort of dummy job or an observation-only program. The Dallas Mavericks basketball team is one business that altered its position on internships after educating itself on the law. "Want an unpaid internship so you can get valuable experience? Screw you!" wrote Mavericks owner Mark Cuban on his blog, Blog Maverick, after scrapping plans for a volunteer-staffed fan website for the team. Asked why the Department of Labor has not sought to stop the thousands of internships, many facilitated by colleges and top corporations, that seem to fall short of the opinion letter's criteria, representative Joseph de Wolk said that the validity of an internship is determined "on a case-by-case basis." That is one of the reasons many employment experts believe that a firm simply needs to create programs that benefit the intern first and foremost. Such a situation is not what Amy Van Cleave entered into last year with a company she prefers not to name. The 27-year-old, who has degrees in pre-law and merchandising, hoped that a full-time stint at a fashion PR firm would help her segue from working in retail to marketing. She moved to New York from Dallas when one of the city's top fashion communications companies agreed to her offer of free help. "My boss doesn't speak to me unless necessary," says Van Cleave, as she wraps up an internship that mainly involved checking clothing in and out to fashion stylists. "She has never explained to me what she does. I have zero conversations with anyone about how this industry works." Surprisingly, Van Cleave says the internship was still worth it: "The golden part is putting their name on my rï¿½sumï¿½." Jay Zweig, an employment lawyer in Phoenix, says companies need to consider what the intern gains from the experience. "Having interns do administrative, clerical or repetitive tasks makes it appear that the interns are replacing or substituting for paid workers," he says, "and that can be problematic in terms of potential violations of state and federal wage and hour laws." Only the government and nonprofits, such as the L.A. Stage Alliance, which has a full-time unpaid intern, are free to use unpaid trainees long-term and full-time without worry. StyleCaster's Goldberg, though, like many entrepreneurs, was unaware of some of the finer points of legal internships. Calling the program a "working interview," for instance, is a bad idea. Although it would seem that hiring from the intern pool is the best reward a company could give volunteers, an internship program cannot be structured as an audition. For that reason, sometimes common sense alone isn't enough to guarantee that your own internship program is aboveboard. Even if you plan to use interns in a company about to be launched, it isn't wise to put that into the business plan, because it will appear as if you are looking for free labor. There is no free lunch, as the saying goes, but there is free help--with plenty of caveats. Laurie Pike is the Style Editor of Los Angeles magazine and the former editor-in-chief of LA.com .